Glycerol Esterification Process Complete Equipment - Biodiesel Solutions – Biodiesel Machinery Equipment Projects. 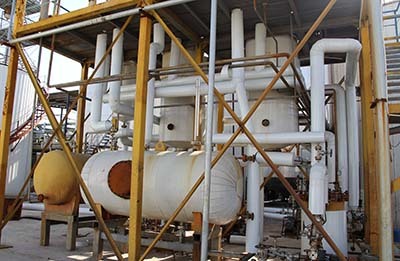 This set of treatment glycerol esterification process is the latest development of new technology. 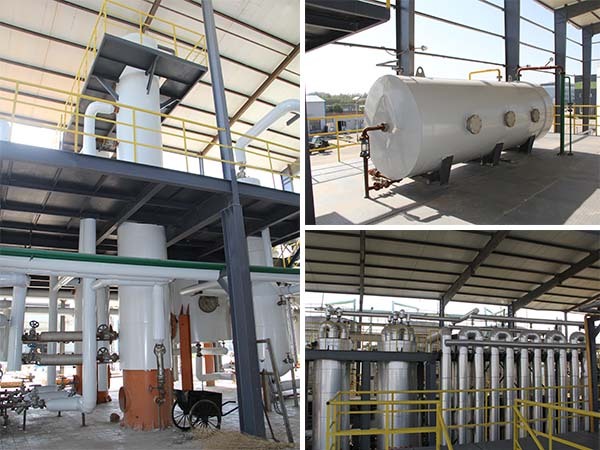 This process is can meet the high quality standards for biodiesel, quick reaction, high conversion rate, get rid of the sulfuric acid as catalyst, the sulfur content can reach less than 10ppm, small equipment corrosion and no waste water discharge, etc., The research of this process breaking biodiesel is no European standard only GB history. 1, Completely get rid of sulfuric acid as catalyst and the problem of sulfuric acid corrosion of equipment. 3, Due to not use free fatty acid reacts with the methanol, the water would not exist in methanol, thus reducing the investment in equipment . 4, Because of not use inorganic acid, acids residue and acidic water discharge will be greatly reduced, also reduced the pollution of environmental. 6, The process of heat transfer products and materials repeatedly to achieve the recycling of heat, a significant reduction of production costs. 7, Independent research and development of composite catalysts, catalytic efficiency has been greatly improved.